Doubtless you've heard of Dave Hall, the wealthy Mormon tycoon who plans to build a Zion community in and around Joseph Smith's birthplace, Sharon, Vermont. Hall's futuristic community is to be patterned after the plat Joseph Smith drew up in 1833 for his hoped-for City of Zion. Joseph's dream for a clean and orderly city was both ingenious and ahead of its time, and had he lived, his model community would almost certainly have influenced municipal trends far into the future. Sadly, the prophet died before his time, and his visionary City of Zion remains unrealized. Now here was a multi-millionaire with the means to accomplish that dream. Hall's version, which he is calling "NewVista" would be laid out in the same way Joseph had envisioned for the City of Zion, but with high-tech trappings and modern conveniences. When I first read about Hall's ambitious project, I perked up. A wealthy man of means wants to create a cooperative community using as his model Joseph Smith's original plat? What could be more exciting? Then I read further into the article, and my hopes were deflated. Sorry Dave, this thing ain't gonna fly. The first red flag I saw was Hall explaining that NewVista would have "a governance structure similar to the Latter-day Saints hierarchy." If Brother Hall hopes to emulate Zion, even if only in structure, that's the wrong way to go about it. Why do you suppose Church leadership hasn't instituted Zion already? Because you cannot create Zion from the top down. By its very nature, a Zion society can be neither governed nor controlled. I wish all the best for Dave Hall, but if he reckons he can institute anything resembling a Zion society by modeling it on the way the LDS Church is governed today, it's sadly obvious he doesn't have the first clue as to how a Zion community would work. It got worse as I kept reading the article. There is a hefty entrance fee for those hoping to live in Hall's utopia: they must turn over their entire net worth to the corporation. Oh, Yes. This "Zion" is being structured not as a voluntaryist community as Joseph Smith envisioned, but as a corporation resembling the one the LDS Church was converted to in 1923. The price of entry for this counterfeit Zion is nothing less than everything you own. Maybe you're not sure what "net worth" means. What it means is that first, if you sell your house so you can move to NewVista, you have to turn over all the money you got from the sale of your house to the corporation. Okay, that sounds fair. After all, you're selling your house in order to get the money to move to a better one, right? Well, that all depends on your definition of "better." Every person who moves to NewVista will be allotted 200 square feet of living space. But don't worry; Robotics built into the walls of your apartment will move the furniture out of the way when you're not using it. Voila! More room to maneuver! If you have a savings account, or any stocks and bonds, you have to turn them over. Do you have a pension? Retirement accounts such as an IRA or 401(k)? hand it all over, because it's no longer yours. If your insurance policy has a cash value, that's now owned by the company, too. And unless there's parking outside the facilities, you'll probably have to turn in your car, because "net worth" means everything of value you own, minus your debts. This is beginning to look less like Zion and more like a living hell. By joining this society you will likely relinquish all claim on your "investment." But don't worry; you'll still have your job to bring in some money. At least you'd better have a job, or you won't be allowed to live at NewVista. I don't know what happens to you if you lose your job, but since remaining employed is a prerequisite to living at NewVista, I'm guessing you'll have to move out. I doubt you'll get your money back when they kick you out, either. It's like tithing: once the money is out of your hands you have no say in what it gets used for. 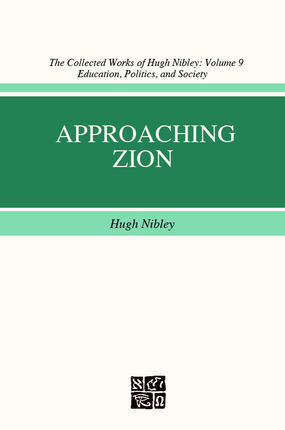 Some years ago the late Hugh Nibley wrote an informative book titled Approaching Zion, in which he lamented the abandonment of the Mormon people's quest for a community of peace. To the early Saints, becoming a true Zion society was the very reason they gathered in the first place. It represented a community ruled by no one and no thing other than unconditional love and concern for the welfare of each individual in the community. Many of them did their best to create Zion in Missouri and Nauvoo, but others in the community tended to sabotage those efforts because they had differing ideas about how things should be run. By the late 1800's the Saints simply took to calling themselves Zion, or referring to the Utah territory as Zion. It seemed to make sense because that was the place they had gathered to. And so here we are today. Conference speakers occasionally refer to the Church as Zion, as though the organization has already been perfected. Why not? They also refer to the Church as the Kingdom of God, even though all our teachings affirm that the Church and the Kingdom are completely separate entities. The unwarranted penchant the Saints have for referring to themselves as Zion was a sorry joke to Brother Nibley; the more we referred to the Church or even Utah as already being Zion, the further we got from understanding what Zion was really meant to be. Whatever "Zion" meant to the early saints, by the late twentieth century, Church members were content to rely on their leaders to get them there -a promise the leaders can never deliver on precisely because of the structure of the modern LDS Church. In 1830 Joseph Smith formed a congregational religious society. In 1923 Heber J. Grant converted that church by legal charter into the hierarchical model it embodies today. That virtually guarantees Zion will not arrive through ecclesiastical channels. What Happened To The Original Church? Most of us who grew up in the Church have a very superficial idea of how Zion was supposed to work. All I ever knew about Zion I learned briefly in seminary. What I was not taught in Seminary is that in Joseph Smith's day there was no top-down hierarchy handling the administration of the Church. There was a First Presidency, whose role -to preside- was not directly involved in day-to-day governing. A separate body, the High Council, was charged with handling the affairs of Church government, and that body generally acted independent of the First Presidency. The High Council was an administrative body not under the direction of the president, though the president could advise from time to time. This main High Council, headquartered in Nauvoo, was similar to the House of Representatives in American civil government. They heard the problems and concerns of the members, and because they were the administrative body closest to the rank and file, they were the primary administrative body in the Church. Likewise, the Seventies were an autonomous body. They did not function under the direction of the Apostles as the Seventies do today. The First Presidency, the Twelve, and the High Council were intended by God to function independently of one another. None of these bodies took or gave direction to the other, although of course they did consult and communicate. Today the Church is a corporation chartered by the U.S. government, and it operates like any corporate hierarchy; from the top down, with the First Presidency at the top of the hierarchical pyramid. Our founding prophet would be alarmed to see today's First Presidency in a position over the Twelve Apostles, and the Apostles in turn acting in a supervisory capacity over the Seventies. He would have been further appalled to see the current class distinctions between members and leaders, with leaders holding positions of rank that require the members to be deferential to them. The early church was egalitarian; there was no recognized ranking in order of importance. As God is no respecter of persons, those holding office in the church were not considered higher in importance than the lowliest new convert. It's hard to fault Dave Hall for thinking the only way for a Zion community to work was that everyone had to give up their possessions for the good of the community. It's a common misconception that when we get to Zion we will have to pool all our belongings for the common good. But that's not how a Zion community works, and it's not what the Lord requires. The first thing we get to remember about Zion is that we cannot call it forth; the Lord will call us to Zion in His good time. But we can create our own Zion communities wherever we live. All it really takes is a pure heart. And that means a heart filled with Charity. What is charity? The word means much more than simply donating money to the poor. Charity means allowing the other person to live his or her life according to their own choices, and not according to the way we wish they would. Charity is allowing others to make their own mistakes with their own lives, even if they fall flat on their faces. Charity requires that we not just bite our tongues when others behave contrary to the way we wish they would, but it requires us to not be bothered by their personal behavior, quirks, or eccentricities at all. Charity is being able to live next door to someone whose lifestyle may be completely repulsive to your own tastes, but finding you really, truly love that person anyway. It's been my observation that, by and large, the kind of people who have this ability to love unconditionally have at one time or another experienced the baptism of fire promised in scripture. They have experienced the mighty change of which Alma spoke; the glorious transformation described by the people of Mosiah as instilling in them "a desire to do good continually." That's why their love for those whose lifestyle choices differ from their own is absolutely unfeigned. Judgment is absent from these people. It so happens that in the past couple of years, hundreds of Zion communities have been springing up all over the Wasatch front -and beyond. And guess what? None of them require moving onto an abandoned farm upstate and living together in some kind of Hippie-Mormon-Commune-Hybrid. And none of these fellowships require you to hand over your property. In earthly Zion, people retain their personal possessions and property so they can use those possessions to benefit others as well as their own families. Because those in the community are of one heart, they look after each other without being coerced or assigned. Those in the community who have excess are willing to share with those who do not. Those who are working and receiving wages might pool their money together to help meet the needs of other less fortunate members of the community, either monthly or as needs arise, but they don't start out by throwing all money, possessions, property, and things into a central pool and then elect officers to draw it out as needed. Despite what you may have thought, Zion is not a bank. It's a community of friends who look after each other. Nothing more complicated than that. This is as far from the real Zion as you can possibly get. The woman at whose house the fellowship was meeting happened to be a hairdresser who heard I was growing my hair long in order to donate it to be made into a wig for some lucky cancer survivor. She wanted the honor of removing those locks, so she invited me to her home at the edge of a cul-de-sac in Bluffdale. After my new friend braided and removed my hair, I was invited to stay for dinner. As we were finishing up, several families began arriving for an informal get-together that included partaking of the sacrament. I counted forty souls in that living room all told. We had the sacrament and enjoyed a nice visit with others who shared similar religious views. A box was passed around containing a note pad and pencil so if anyone present had a need, or knew someone with a need, they could write it down and put it in the box. Another box was passed where individuals could either donate money or pledge money to go to those in need. I tossed in the few dollars I had on me. It was all very informal, with people wandering in and out as they pleased, and engaging in various conversations. Eventually everyone hugged and said they loved each other, then went back to their homes. And that's key. Like the first century Christians who gathered together to associate with others of like mind, afterwards you go back to your home. There is no community dining hall, no forced living arrangements, no planning and structuring of each other's lives. There are no leaders in these fellowships and no one is in charge. You get together, same as you would for a neighborhood barbecue; you have a good time visiting with your friends, then you go home. There is no government in Zion except for self-government. A Zion community is one where everyone is neighbor to everyone else, even though they may live miles apart. They are usually of like mind and heart, brothers and sisters for whom a devotion to Christ is the common denominator. Some of the people who gathered at my new friend's home had just come from three hours at church; others had stopped attending church altogether because they no longer felt the spirit in those meetings. They gather at these informal fellowships because that's where they find the pure joy that's missing in the three hour block. They come because they remain devout believers in the gospel and want to be in the company of fellow saints, fellow believers who know what it is to have joy in Christ. Interestingly, these informal associations are growing rapidly at the very time attendance at LDS Church meetings is shrinking at a rate that is of great concern to Church headquarters. Church leaders could take a lesson from these fellowships and return to a doctrine that stresses love over obedience. No property is held in common by these Zion communities. That has been tried, in this church and elsewhere by better people than we are. It has been tried for thousands of years, and it has always failed. If you want to see a Zion community fall apart before it begins, the way to make that happen is for the group to go all in together and pool their resources, instead of honoring the agency of each individual to make his own choices. Zion works only when we assist each other as individuals, pooling our privately held resources for the good of the community. When we give, we give of our substance as individuals. What we do not do in a Zion society is throw all our stuff into a common pile so it is now owned and controlled by some nebulous corporate collective. As needs are recognized, individuals provide their money to other individuals. Zion is not a bank or a central depository. Zion consists of neighbors looking out for one another's needs. I look out for your needs by giving of my substance. 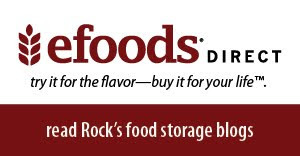 I don't go digging around in some commissary hoping someone else will provide. I help you out directly, and if I don't have enough to meet your needs, I put out the word to my neighbors and collectively we see that your needs are met. In earthly Zion, people live in their own homes and retain their personal possessions and property so they can use those possessions to benefit others as well as their own families. Because all in the community are of one heart, they actively look for ways to benefit each other. What they don't do is start out by throwing all money, possessions, property, and things into a big pot and then deciding who gets to have it. That's the quickest way for everyone's substance to be drained away. You can't achieve Zion by first dumping everything into a pile and then having everybody take some of it back. Since that day in Bluffdale, Connie and I hooked up with a fellowship group a few miles from our former home near Sacramento. For some reason, LDS Church leadership has become alarmed by this phenomenon. I guess they just don't like the competition, because that fellowship has drawn away local ward members -including a member of the stake high council- who prefer the spirit they feel there to the stultifying boredom they've known at church. If the local Church officers want their members to return, they should find a way to invite the spirit of God back into their buildings. They can start by abandoning the structure dictated by the Church Handbook, and instead conduct their meetings according to the scriptural imperatives found in D&C 20:45; 46:2; and Moroni 6:9. These fellowships are nothing more than get-togethers between friends, and yet the corporate Church sees them as a threat. Why? Like the first century Christians, we meet informally in one another's homes. There are no leaders in these fellowships, no formal structure. No one is trying to start a new church. We associate with one another. We socialize; We are a society of friends. That's what a religious society is. If Church leaders think individuals gathering together to socialize with one another and sometimes partake of the Lord's supper represents some kind of apostasy, I'd say they should check their assumptions. And check their scriptures. Because in my opinion anyone trying to stop the Lord's people from gathering on their own and worshiping on their own is acting contrary to God. In a Zion society, no one is in charge of anyone else. The minute someone in the community starts insisting "you're not doing it right," or "we should be doing things this way;" that's when your society is doomed to fail. You want to be part of a religious society that's failing? You already know where to find one. Following a couple of conversations I've had with readers online, I wanted to make an important clarification: I am not claiming that these various groups I've referred to as "Zion Communities" represent the actual Zion. That is an entity the Lord will call into being in due time. Rather, these fellowships (for want of a better term) are more like miniature developmental versions of the ultimate volunteer community. They should be viewed as "Zion-like" or "Zion-ish," if you will. Those who are willing and able to live in a judgment-free community of love and acceptance will be that much more able to make the necessary transition when the New Zion arrives. Any individual can start such a community at any time. It begins with the way you treat your own family, then your neighbors, and it fans out from there. Here is a primer, by the way, on how to start your own fellowship. "The grand fundamental of Mormonism," the prophet Joseph taught, "is friendship." I submit that if we ever expect to be true Mormons, and especially to be Zion Mormons, we ought to start practicing true friendship.